Lucky Me! 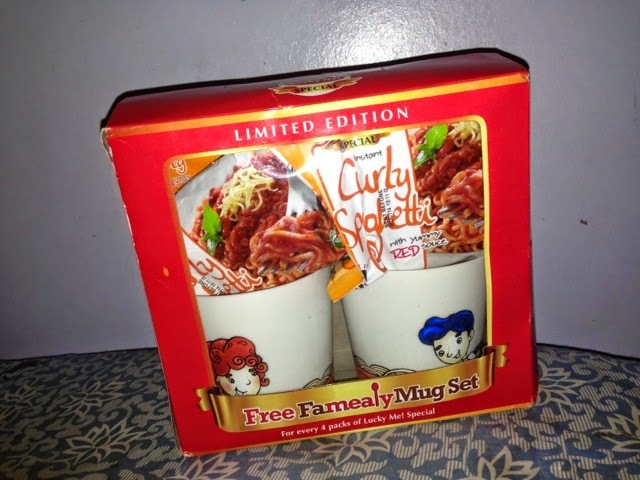 Special Curly Spaghetti Famealy Mug Set - Triple Joys!!! 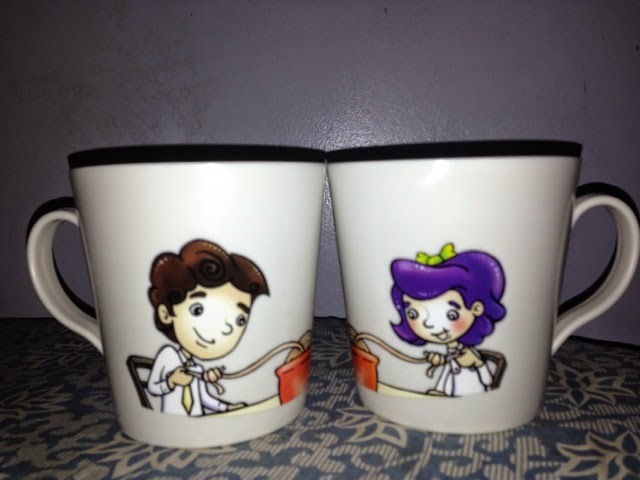 Wanna have these cute mugs?! Go buy Lucky Me! Curly Spaghetti! In every four packs of Lucky Me! 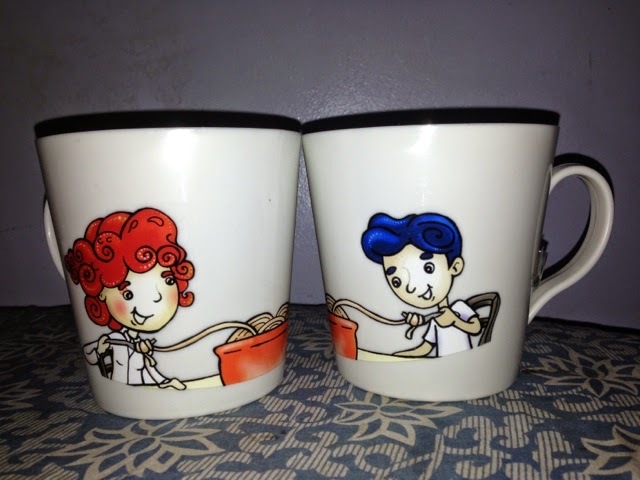 Curly Spaghetti is this Famealy mug sets. Initially, I though it was made of ceramics, but when I carried it and noticed that those were too light in weight, that's when I knew that those were made of plastic! Designed especially for kids! The Lucky Me! Curly Spaghetti limited edition set comes in this package. Isn't this a good catch?! Not only you can serve easily cooked delicious pasta for your family, you also get to have these two cutie mugs! By the way, the other side of the mugs have different designs too! Aren't they the cutest?! Now, eating time wil be extra fun with these two drinking buddies!